Festival season will soon be upon us – and everyone knows that planning your outfits and packing your backpack is just as important as knowing who’s playing on what stage at what time. It’s not just a case of wellies anymore though. Thanks to Coachella and it’s crowd of models, musicians and insta-famouses, festivals are now pretty much just fashion shows with killer live soundtracks. We’re here to help you get your festival style right with the perfect footwear partners. Each festival has it’s own vibe. If you don’t like rock then you’d be silly to go to Download. We’ve paired up some popular festivals with their perfect partner. So you can concentrate on enjoying the music, knowing that you’ve nailed your festival look. Bestival is known for it’s flamboyancy, fancy dress and laid-back ‘anything goes’ attitude. Clashing prints and bold colours are a given at Bestival – and that means you can really make a statement with your shoes. 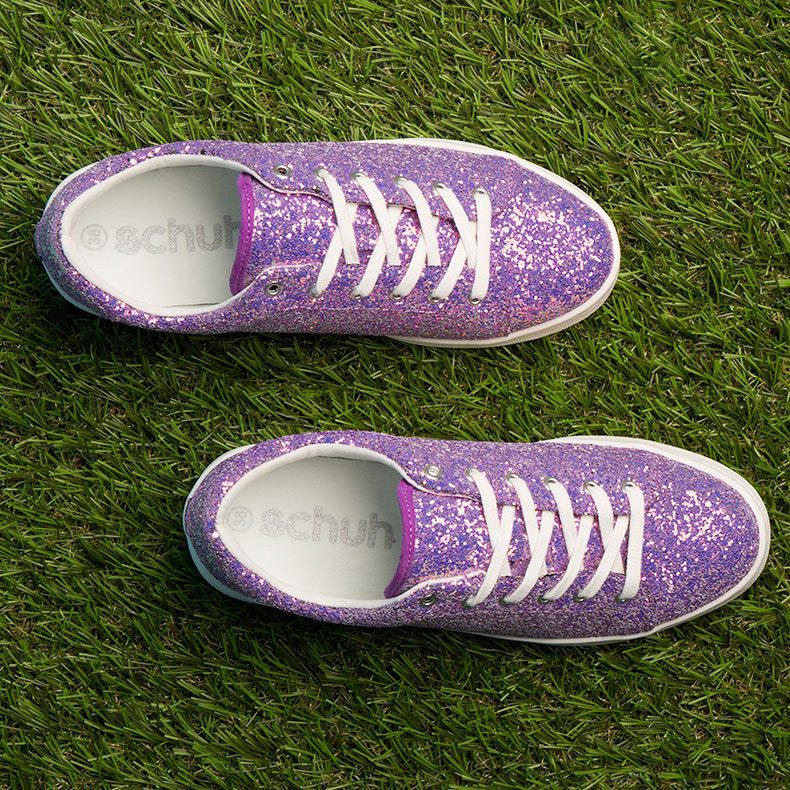 Go all out with these sparkling beauties. Heading to sunnier shores for your festival fix? 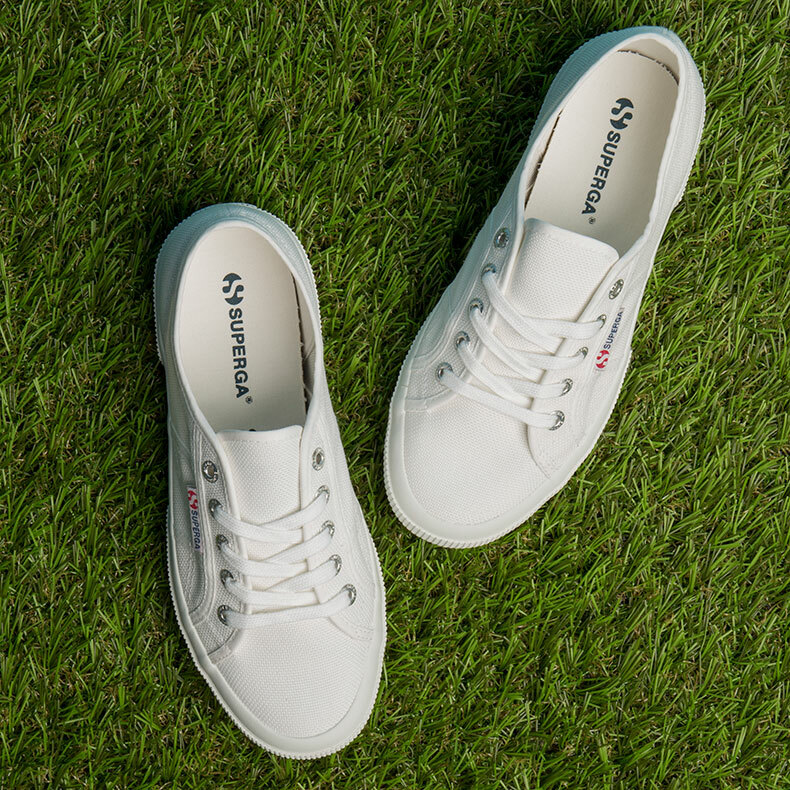 It’s got to be the classic white cotton from Superga. These breathable, light-weight Mediterranean classics are perfect for when you swap out of your flip-flops to hit the festival site at the end of a day at the beach. 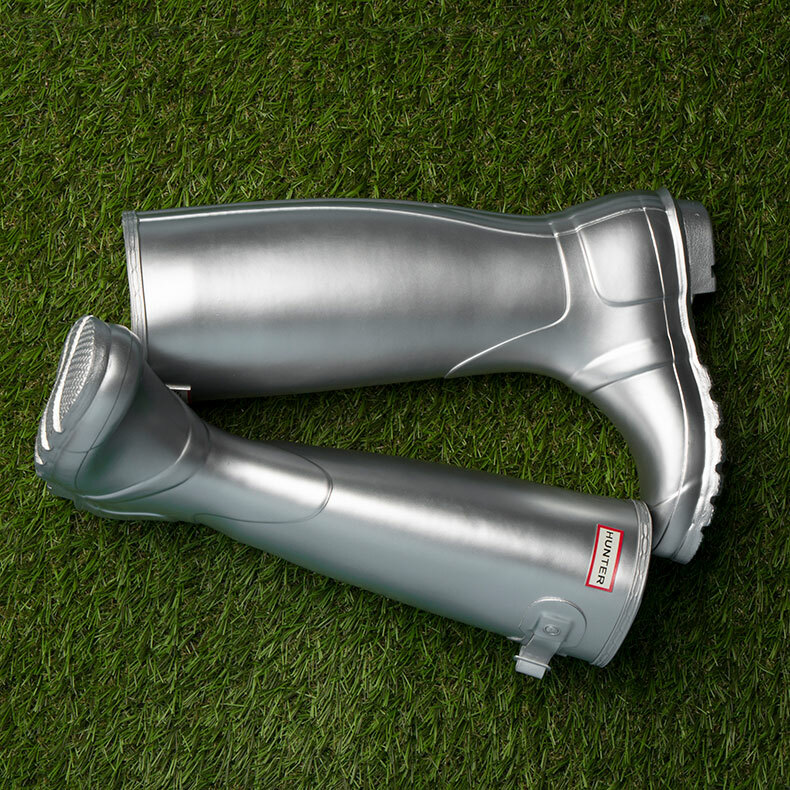 Hunter wellies are pretty much synonymous with the UK’s most famous festival. Think Kate Moss and Alexa Chung in these heritage favourites. The quintessentially British festival just wouldn’t be the same without the seas of mud and rain falling over the Pyramid Stage. So you need something that’s going to keep you dry, and looking fantastic. These silver stunners are perfect for the job. Beach festivals and pool slides go hand in hand. If you’re going to be spending your days working on your tan, and your evenings sipping a Corona and getting into the music then these will see you right through. 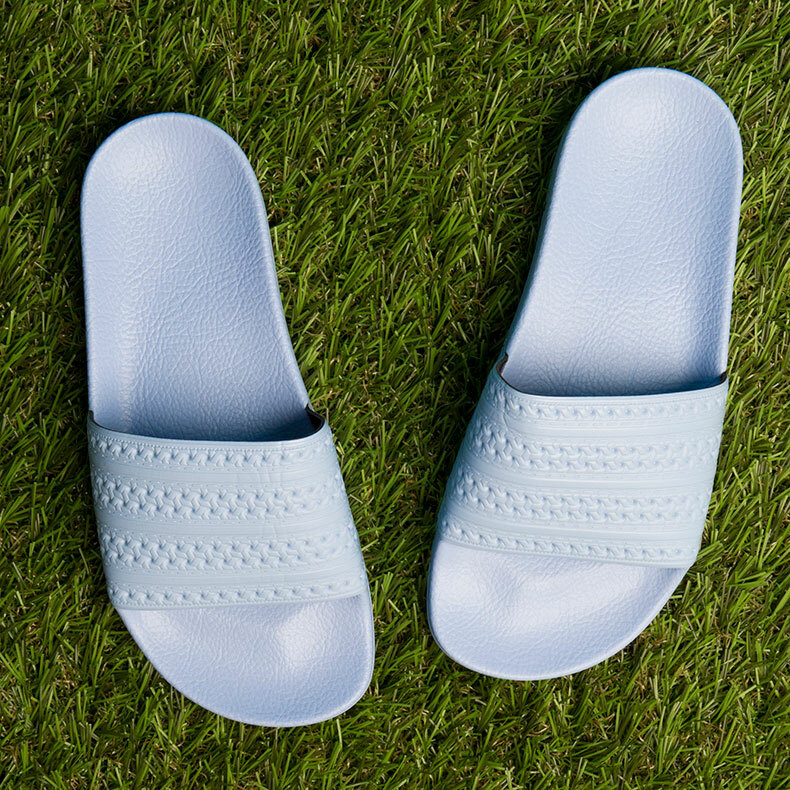 The adilette is an absolute classic – and now it’s arrived in on-trend pastel blue. Got your vintage shell-suit and stick-on bindi ready? Parklife uniform is all about retro sports brands, over-size bomber jackets and tiny back-packs. It’ll be Fila, Ellesse and Kappa galore at Parklife. 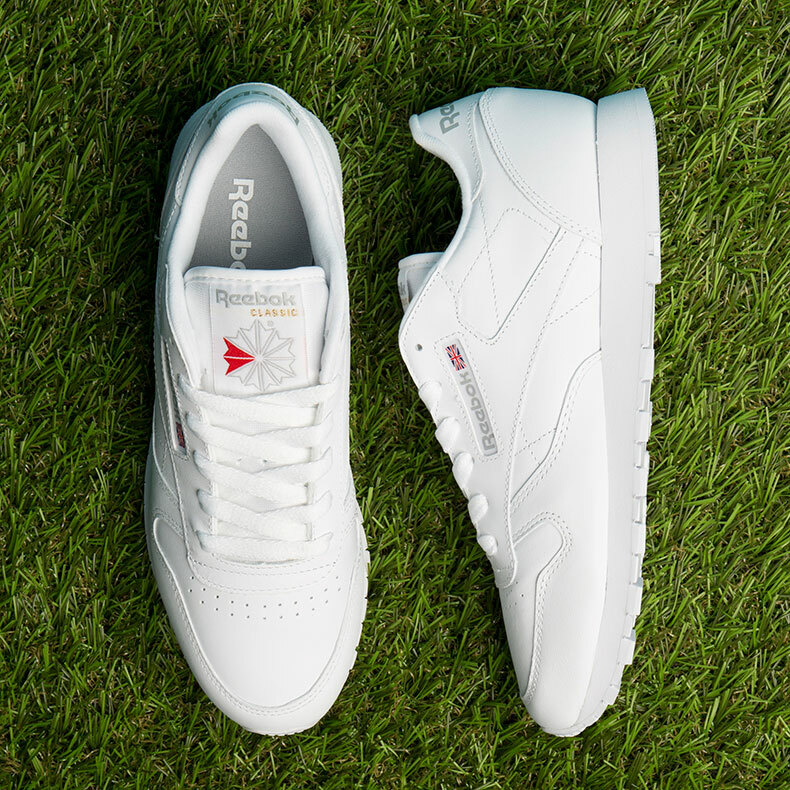 Finish your look with these 90s Reebok Classics and you’ve nailed it. Download is probably the biggest rock, metal and punk festival in the UK. 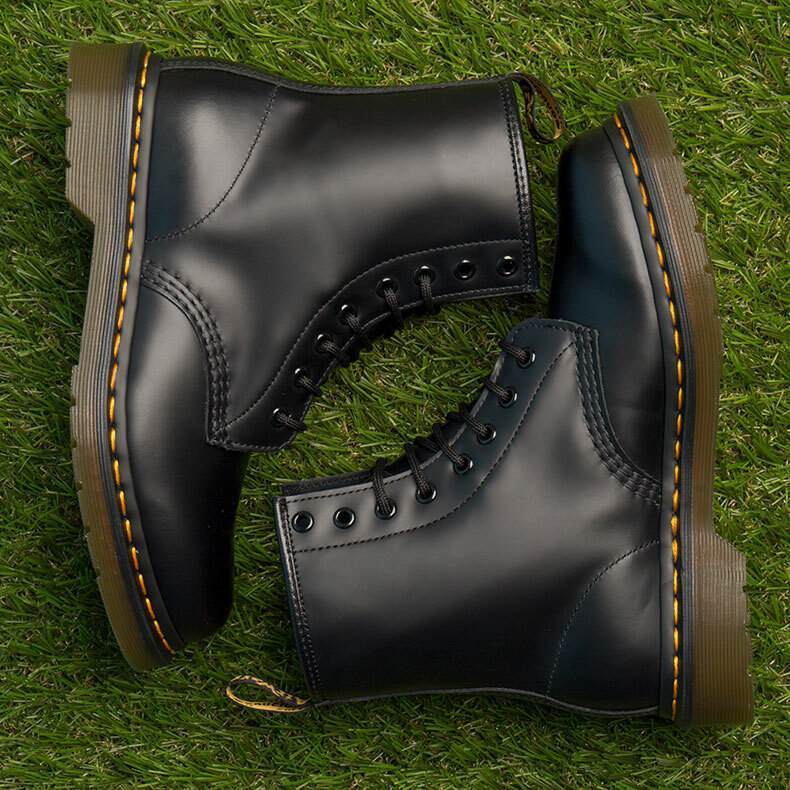 Rock music paired with the British summertime calls for the trusty Dr. Martens 8 Eye Boot. Not only do these ooze that effortless rock vibe, they’re perfect for traipsing through muddy fields. Pair them with the t-shirt of your favourite headliner and some distressed denim and you’re good to go. So now all that’s left for you to do is get right to the front of the crowd. Enjoy!